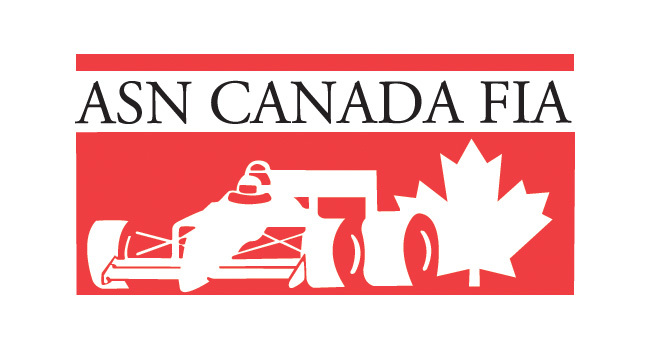 Flashback Friday: Memories of the Barrie GP – CKN | CanadianKartingNews.com | Because Karting is a way of Life! 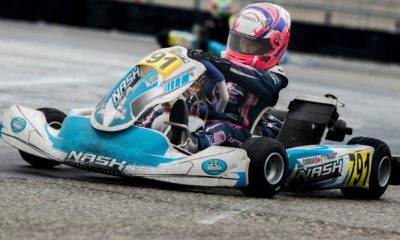 From 1995 to 2007 the last weekend of every June played host to one of the biggest race weekends on the Canadian Karting schedule as karts roared down Lakeshore drive in Barrie, Ontario for the annual Barrie Grand Prix. 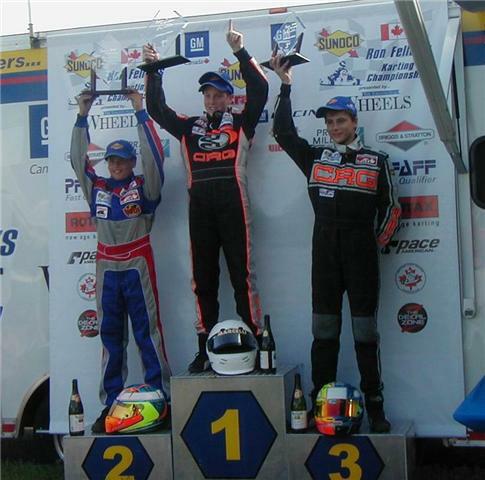 The event had it’s climax in 2001 and 2002 when the SKUSA Pro Tour had its first National race in Canada where many of Canada’s top shifter kart were able have home track advantage over many of the best drivers in North America. A year later the Sunoco Ron Fellows Karting championship took over the event until it’s final year in 2007. Trevor Wickens described the race best by saying “The Barrie Grand Prix offered more prestige than any other race that Canada has ever offered. The feeling and excitement in the paddock rivaled the biggest races in the world”. With this summer marking the tenth anniversary of the final Barrie GP we decided to ask a some of the drivers who made their mark on the streets of Barrie about their fondest memories of the event. Back in 1995 I was running for the 3 S Go kart Team headed up by Enzo & Lynda Chiovitti, Formula A was big back then and the Chiovitti family were fantastic support. That summer We were invited up to compete in that years running of the ” Barrie Grand Prix” a temporary course laid out in the park area next to a huge lake. The track was very fast with a long straight, sweeping blind corners, elevation changes and all lined with plastic covered hay bales. It was a party atmosphere, there where vendor canopies everywhere and the podium was actually a stage with live Rock & Roll performed by Canadian Rockers in the “Labatts” beer garden! 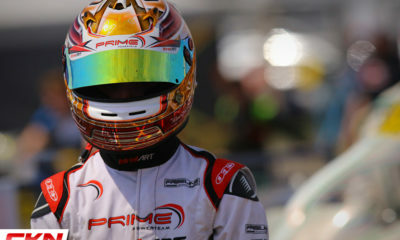 It was a 3 day event, Friday had a couple of practice session’s, Saturday was Formula A and Sunday was Formula Super A. The competition was strong with a large field both days. My mechanic was the Late Tony Adkins, he had figured out a fuel blend based on the Pump fuel that was spec’ed and we hit a set up that was super fast, doing a little over 20,000 rpm’s in the Ital System rotary valve we kept dropping teeth and going faster. In qualifying we put it on pole, won the heats and drove away in the final. It was exciting because that was my first Canadian win! We celebrated with a Labatts beer or 2. Sunday wasn’t as good as we found out that the fuel blend that worked in the FA class didn’t in the FSA. I stuck the engine so we had to go to the back up and fix the fuel mix. Starting in the back I quickly moved thru the field and was in 3rd when I got ahead of myself and hit the gas pedal to soon, going up hill to the right I was in the marbles and slid towards the haybays, as I brushed up against them the plastic wrap. So many tracks around the world will possess lasting memories for me and one of those happens to be right here in Ontario: the streets of Barrie. From racing on the early iteration of the layout in the mid 90’s, where an extremely steep uphill short straight (or steep to a 10 year old) intimidated me every lap to its most recent layout, moulding itself around the bay, each year had its unique features. 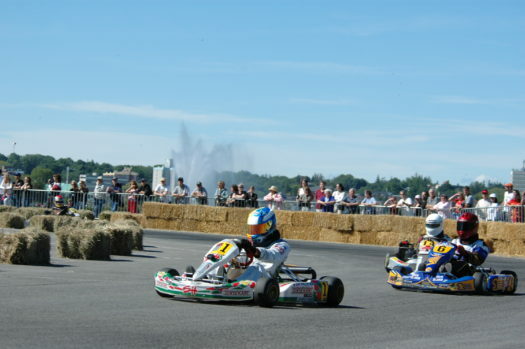 One of the most prestigious events held in Barrie was the 2002 Skusa ProTour event, attracting the top shifter kart drivers from around North America. It was a pleasure welcoming these drivers to Canada for once and also not having to leave on a Tuesday to drive south to compete. That event in particular was full of energy. 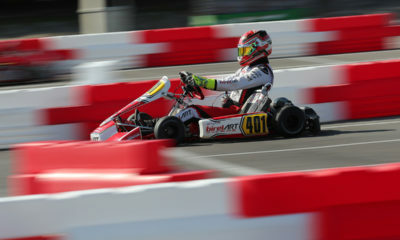 Canadian karters were on home soil and had something to prove, which we did! The Canadian crowds and supporters in the grandstands were a special eyesight for young karters as we didn’t often get a chance to showcase our skills in front of non-karting family, friends and tuners. The feeling of competing in front of true motorsport fans was something karters didn’t often get a chance to feel, so when we did, we made sure to look sharp and keep professional. Canadians represented themselves with class, which translating into performance as several podiums bared the red and white maple leaf. I, myself, stood tall on the second step of the Super Pro podium which launched me higher into the overall championship that year. Each Barrie GP pre and post also brings back vivid memories which I will never forget. For example, those wooden ramps we had to get a run at in order to get our kart and stand over the middle median in the pits always seems to flash in my memories at random times. Another, for all those that raced a shifter, will remember those 180 degree 1st gear clutch slipping corners that always seemed to add a special twist. 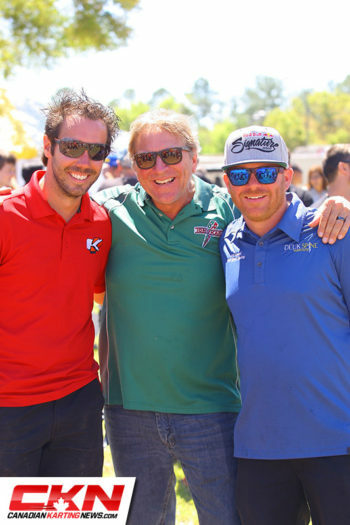 To all those that had a part in organizing, coordinating and executing the event throughout the years, all us karters and family members thank you for making each event a memorable one. Those Barrie GP’s will forever be remembered as some of our best memories. Thank you! The race in 2001, was a really cool experience for me it was my first time racing out of the country which being a teenager that wanted to be a professional racing driver seemed like really big deal at the time. The Track- I have been karting for most of my life, I have competed in numerous Street/Temporary karting tracks… most of which have not left any lasting impression or even a memory of any important details… thinking back on Barrie, even thought it was such a long time ago i remember the track being Awesome anything between having an beautiful back drop up against the water, to having a tight hairpin corner that you would have to go to 1st gear and even use the clutch to keep the RPM’s up if you had to over take or didnt hit it just right. Crowd/Town- This was also the first time racing that I had anyone ask my for my autograph! that was a really cool experience for any racer especially a 16 year old karter. The amount of spectators that were at that even was insane for a karting event. i remember the fences being lined up with people watching the race and cheering…. not friends and family of the drivers racing but people that were just interested in the event. I wish karting could go to more venues like Barrie these days that could draw in crowds and bring interest to karting. The event started in the downtown core where I competed as a driver. The event sponsor was Sun-bright (I think – A laundry detergent company). Big turn out but track needed to be altered in one of the downhill sections and the chicane due to so many incidents. It was the first race I ever flipped at. The Event eventually moved to the waterfront and SKUSA took over. I competed as a mechanic for First Kart North America. I remember the pits stretching miles from the track which was a nightmare for some teams. The waterfront was a perfect location and provided a great atmosphere and backdrop for the event. Combination of tight corners, long straights and both down hill and up hill sections made it a challenging circuit for all. I remember Julianna Chiovitti and Darren Elliot winning S2 and S1 as well as Matt Champagne leading K1 and pulling off the track on the last lap as he thought the checkered flag had flown. The Barrie GP was one of the races that was quickly becoming a must on everyone’s calendar. I told a lot of people that the BGP could be the SuperNats of the Summer. It was a shame to see the event go away as for karting, this was something that would have definitely benefited the sport. Spectators lined the streets. Seemed to have more spectators in the downtown core than the waterfront but businesses were upset as customers could not get to their locations easily. The waterfront saw bikers, roller bladers, runners and walkers take in the action. A lot of people would see the event taking place on Friday during their workout and then come back Saturday and Sunday to watch. It was definitely one of the coolest events that I was ever a part of. It was exciting to see the same enthusiasm from competitors and spectators for Motorsports at Barrie that I experienced throughout the midwestern United States. Growing up in Ohio racing street races all summer long throughout Ohio, Indiana, Michigan, and Illinois gave me an appreciation for the organization and competition only found in an annual temp circuit that transformed a city for one day into a driver’s paradise. Barrie had its own special vibe for me with its proximity to Lake Simcoe and such welcoming fans and participants. It truly was a great example of all things good between the challenging layout to the stereo typically warm and friendly Canadians, many of which I now consider family. The Grand Prix of Barrie has always been for me a very special event. Held at the beginning of summer, it set a good pace for the season. The location was exceptional, the track challenging in terms of setup because of its very long straightaway and its tight infield led to great racing and usually attracted an impressive crowd. 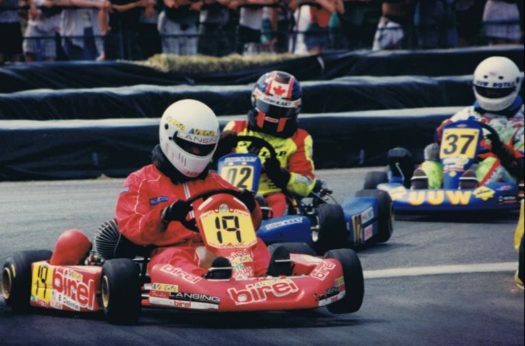 The year I won Barrie was my first ever race with SH Karting and Gary Werve in the shifter class. My battle with Mike Roth in qualifying and prefinal was epic. Unfortunately Mike abandoned the final due to mechanical issues. The Grand Prix of Barrie will always stay in my memories. I think I speak for all drivers when I say that racing in Barrie on the streets along a beautiful waterfront was one of the most, if not the most amazing and memorable experience of my karting career. There was always a special feeling rolling into the paddock and parking your trailer right along Kempenfelt Bay. The racing was always paired with an event; whether it was the midway, a car show, or the flee market and these events would always draw a large crowd down to the waterfront to watch the races. There is nothing more exciting as a racer than to have a crowd watching your every move on track. This is even more exciting when you are the race winner and get to parade around the track with a checkered flag and actually see and hear the people cheering. Doing doughnuts next to the beer garden is also the best way to get a good cheer after a race win. I raced at the Barrie GP from 2004 to 2007 and enjoyed 2 race wins and 3 podiums in Jr light Honda, 80cc shifter, and ICC 125 shifter. My most memorable win has to be my spin and win in ICC in 2007. I had qualified 2nd to Mike Vincec and got the lead after the start and pulled a gap. After approximately 5 laps we had a red flag and the field was bunched back up for a rolling start. 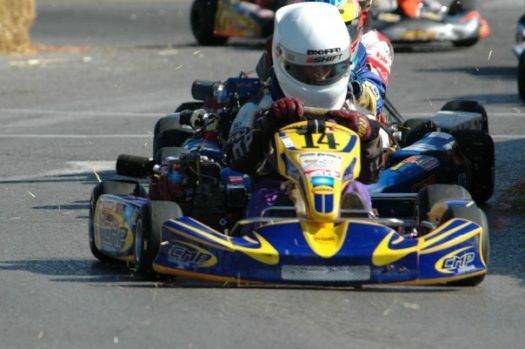 I resumed the lead on the restart but spun the kart at the Tiffin St hairpin while braking over the bumps. I sat and watched the whole field drive by before resuming the race. I began to charge back through the field and with 3 or 4 laps to go I took the lead and eventually the race win. To this day Rob Howden has quoted this race as one of the most exciting Barrie Grand Prix’s in history. It was so rewarding for me to be crowned King of the Bay and at the time I had no idea I would be the last. 10 years since my win I am hoping that we can one day go back to the streets of Barrie. 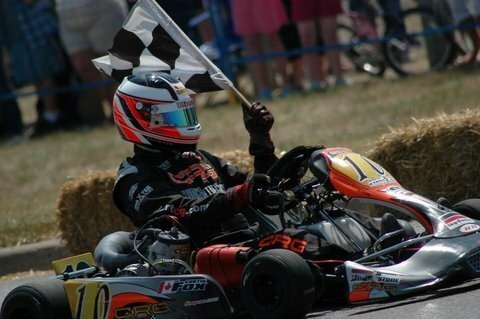 The Barrie Grand Prix will always stay in my mind as the turning point in my racing career! 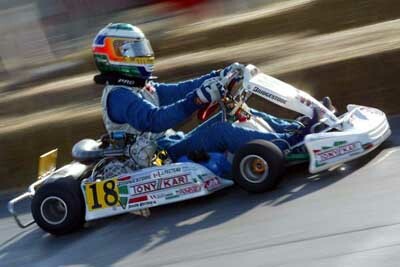 I remember that week-end like if it was yesterday, with Alex Vincent as my mechanic and Sh Karting as my racing team. Alex tried a gear/carburetion/engine temperature combination that was completely from the entire field. It worked right a way in practice 1 and we knew we definitely found an advantage for the week-end and the rest of the year. After a disappointing qualifying session, I focused on a killer start for the final and it wasn’t to long that I took the lead and won with half a track distance from second. The combination of hay bale, huge strait a ways and a one of a kind atmosphere made this event unique and forever memorable for everyone involved. 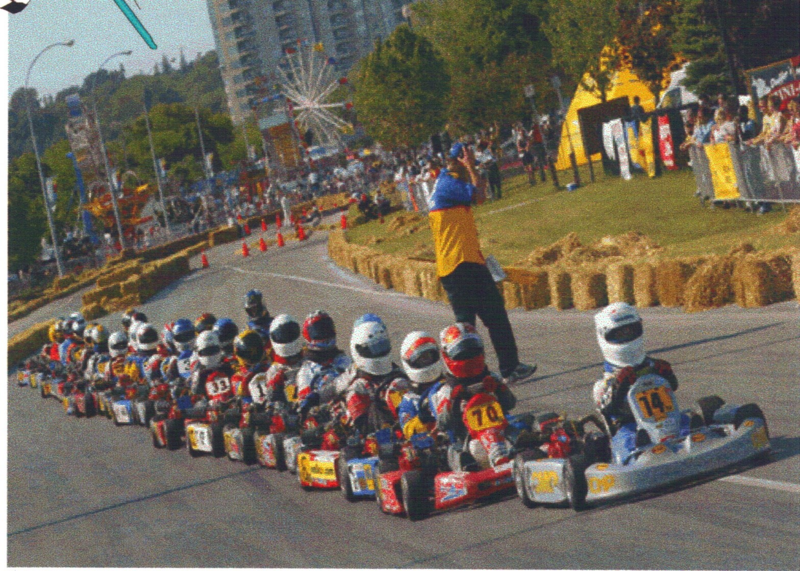 During the go-kart portion of my racing career, which lasted 2001 to 2006, the Barrie Grand Prix was always a highlight of the year. It was truly the Grand Prix of Monaco except we raced go-karts and not Formula 1. Some of my fondest memories include; attending as a young spectator with my father during the days of SKUSA (Shifter Kart USA) and watching Scott Speed win the race, and afterwards getting his autograph. 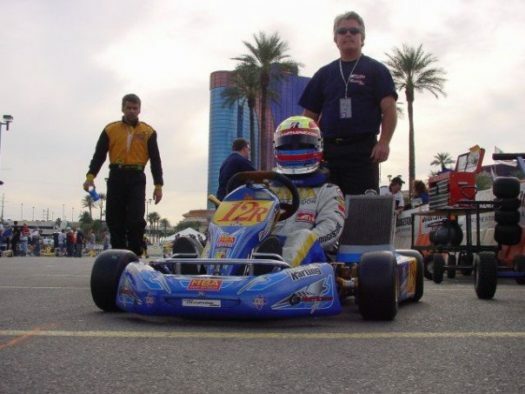 Years later in 2005, I won the race in the 80cc shifter kart category during the SRFKC (Sunoco Ron Fellows Karting Championship) era. As I stopped at start/finish for my victory interview and checkered flag lap, I recall asking my father (who was about to give me a push start) if I could do some donuts (I had never done them before), but he said no! Still a great memory in my career. The Barrie Grand Prix! I mean if you have raced it, that’s all you need to say. This race was amazing. I remember driving into the paddock as a kid feeling like I was famous or a pro racer. We always tried to pit facing the water even if that meant pitting all the way at the back. The view was to good to pass up. The atmosphere was crazy with people all around the track watching. I think it was 03 or 04 was the last year they had the fair at the end of the back straight where I have a picture of me in Jr. heavy sitting at the start/finish under red flag with 30 plus in a row behind me. Winning the Barrie Grand Prix and to be call the king of the bay was probably the biggest thing at the time. The racing it’s self was crazy. You would be lucky to even finish the weekend without breaking something. I have lot of good memories and even more bad. One of my favourite races was in Jr.heavy. I was racing Curtis Fox and Pearce Herder for a championship. The pre-final started out crazy with the top 7 in a train trying to get the win. Going into the final I remember talking to Fox about the start, saying we have to get by Pearce early and try to pull away. The three of us got out front and had a big gap early so it was time to make our move . Fox tried Herder a couple of time but wasn’t successful. I made my way into second and then after 3 laps of trying I got by Herder. Coming down to 2 or 3 to go we had a gap to Fox and Herder made his move back on me. I waited until we came down the front straightaway to pull out and try to get him at the line , fell short by a hair. But it was such a good race and having all those people watching made it even more special. I remember my first year in Sr. Rotax, there was two groups and live timing for qualifying. I was in the first group and I remember putting a solid lap down and pulled off not knowing it was good enough to land me in the top 3 starting position. As we were walking back to the pit you could hear the time and names of the second group being called and as it got near the end we realized that I qualified 3rd out of 40 plus.That was one of the best feelings in the world. Later on that day was the final ( no pre final) I got into 3rd off the start and running right with the front two when someone went up the inside of me at the grid corner and on exit I was still beside him. But in Barrie there wasn’t much run off room so the driver squeezed me out and “out ” were the hay bails. So that ended and I was so mad. I remember my dad saying that only happened because your 15 racing with the big dogs you have to pay your dues. I can’t really put into word how amazing this event was. I would love to see someone try and get it back even tho it’s a long shot. While there have been many other street races in Canada such as le Monaco Trois Rivieres and the Windsor Grand Prix, there is no street race held in Canada with a reputation like the Barrie Grand Prix. For drivers who raced in the so called glory years it was a race that brought out the best from the continent to race in Canada, while attracting crowds from the general public to showcase what karting is all about. 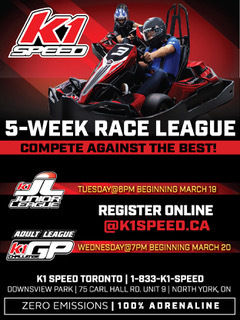 As Mike Maurini said in his memories karting needs events like this to present the sport to the general public in order to help grow karting in Canada. If you have any memories of competing at the Barrie Grand Prix please share your memories in the comments on our Facebook page.